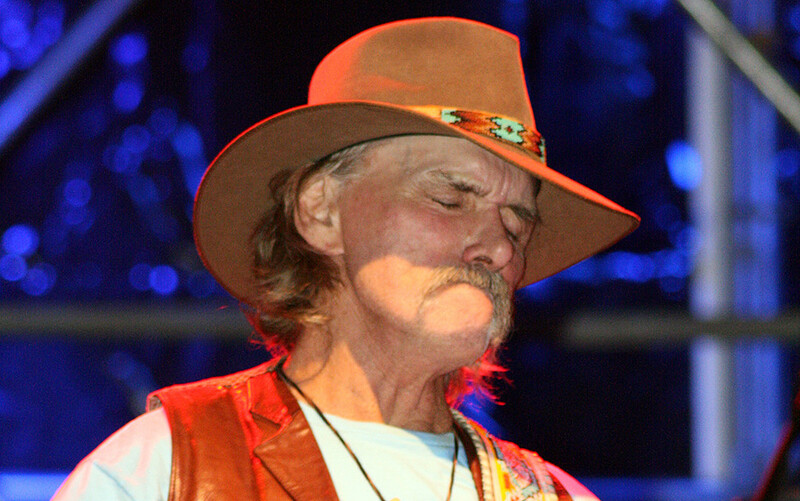 "Dickey really regrets that he can’t be there for his fans..."
Dickey Betts, a founding member of the Allman Brothers Band has postponed three upcoming performance dates due to what his doctors have described as a mild stroke. 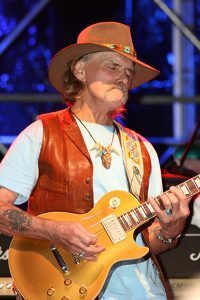 “Citing health concerns, Dickey Betts has been forced to postpone the next three dates that he was scheduled to perform on August 28 at the Great New York State Fair in Syracuse, NY; August 30 at the Toyota Oakdale Theater in Wallingford, CT; and August 31 at the Casino Ballroom in Hampton Beach, NH. Betts, a Grammy-winning guitarist, singer and songwriter, and a founding member of the Allman Brothers Band, had recently experienced what his doctors called a “mild stroke.” Yesterday, after describing to his physicians certain post-stroke repercussions, he was strongly advised to give himself more time to recuperate. Doctors have assured Betts that after three to five weeks he will be 100 percent recovered and can resume his touring schedule. 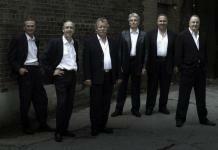 Betts is hoping to work with promoters to reschedule the dates in Wallingford, CT, and in Hampton Beach, NH. 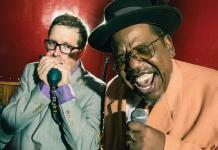 His tour is expected to resume November 1 at the Bell Auditorium in Augusta, GA. 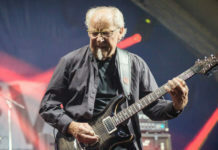 The 74-year-old Betts had only returned to touring earlier this year in May, having announced his retirement this past November after a three-year layoff from his band. Having planned to “go fishing and play golf and mess around and stuff” and retire, Betts grew bored and restless and decided he wanted to tour again with his Dickey Betts Band. The band includes his son Duane Betts who is making a name for himself as a guitarist in his right.